Some of you who know me, know that I have been working on this next book for a very long time. 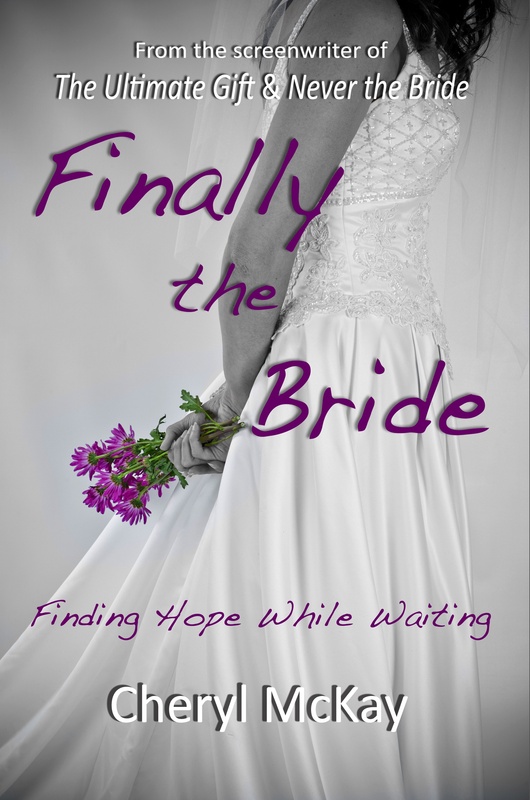 Some of you know of it as my “autobiography” about fear and knew that Finally the Bride: Finding Hope While Waiting was only a small part of my life, that book I was writing while bored and waiting for God to finally bless me with a husband. Those who’ve known me for the past ten or so years of my life may have no idea this part of my life ever existed. I was struck recently by reactions when my mother and my husband read the book. Both of them had a very similar response. My mother asked, “How is it that I never knew my own daughter?” And my husband said when he read this book, while he knew it was mine, it’s not who he’s married to now. He was very thankful that God healed me so abundantly. When you read my story, you will understand fully why my healing and freedom from fear were necessary for me to walk down the aisle and marry the most wonderful man God gave me. I often pondered the thought about how what I longed for I feared the most. And that fear kept me away from men and relationships for a long time. There were years I thought I’d never be able to get married because of it. Praise God, I was able to heal, face my fears, and win the battle over anxiety in this area of my life. I understand why my mom and husband reacted this way. Even when I step back and read my book, it’s like reading about a stranger. This is so much due to the fact that God healed me so well, that the person I was for over 20 years of my life seems like she doesn’t exist anymore. That person barred by the jail cell of extreme fear. I’m glad my newer friends didn’t have to get to know this other part of me. I’m glad I am no longer acquainted with who I was, even though what I went through is a very real part of my history. It no doubt has an effect on who I am today. 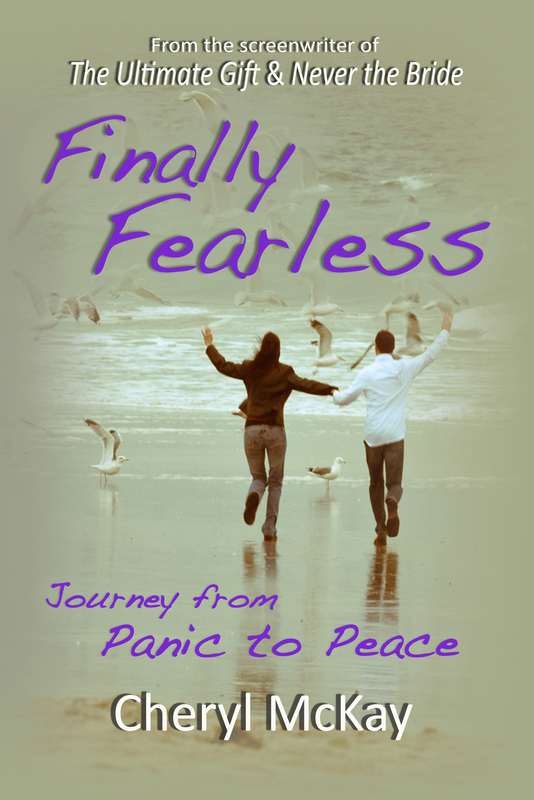 Sadly, I know many people relate to me and the journey I share in Finally Fearless: Journey from Panic to Peace. I wish more people didn’t have to. But it’s a very common problem people face, and I am tired of the silence that keeps people locked up in their fears. It’s why I had to release this story, no matter how much vulnerability it called for. I knew back in 2001 that one day, like it or not, I would write it, and then be compelled to release this book. That time has finally come. Why am I like this? What is wrong with me? Why am I so afraid? I can’t control my anxiety; these fears seem to overtake me. Does anyone know how I feel? No one else has this problem. I am a freak, and I am alone. Where is God in this? Do fear and anxiety rule your life? They used to rule mine. This is the book I was too afraid to write and definitely too afraid to publish. That would mean others could read some of my most private thoughts, pieces of my most difficult and painful journey. Most of my life, I put on a good face, that “life is perfect” façade. It was a sham. Then I realized I had to face my problems, my past, and my fears if I ever wanted to live a normal, healthy life. In writing this book, I decided to join the imperfect human race. I wrote it because I needed to heal. Maybe you need to heal, too. Through writing about my story of panic, fear, and seemingly irrational anxieties, I uncovered so much about panic and anxiety disorders, coping techniques, causes of anxiety and fear, soul-searching activities to help unearth the root of anxiety problems, and methods that can bring about healing. After many years of stagnancy, I found hope. God walked me through every step to help me find ways to grow, heal, change, and climb out from under the relentless thumb of anxiety. I can honestly say I am now healed. Are you tired of fighting against your fears? Has panic interrupted your life? Has anxiety stopped you from going after your dreams? I encourage you to read my story and start your soul-searching journey now so you, too, can venture toward peace. Finally Fearless: Journey from Panic to Peace is filled with practical advice, exercises, personal stories, and tangible ways for readers to participate in their healing. Get the workbook that accompanies this book. 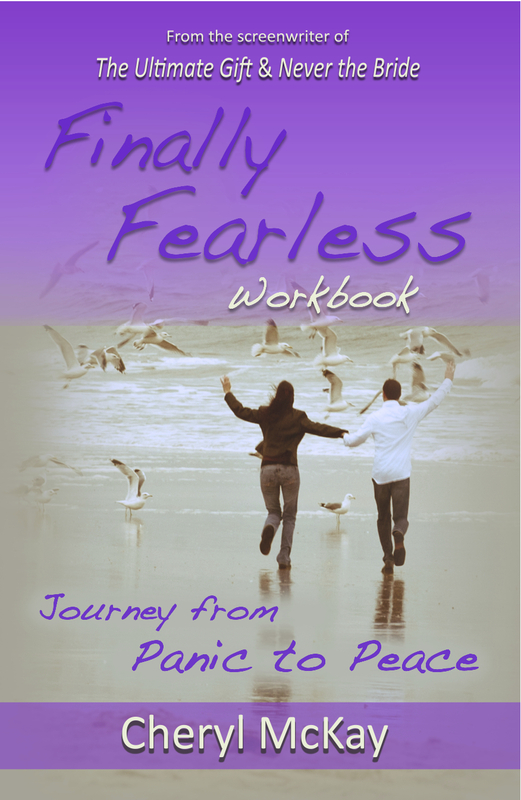 The Finally Fearless Workbook is a great tool for church groups, book clubs, or individuals who want to play an active role in their healing from fear and anxiety. I am not a medical doctor or a psychologist. I am a creative, intelligent woman. Yet panic and anxiety left me feeling completely out of control. I ached for God to show up and heal me instantly. Instead, He became my Wonderful Counselor, and He walked me through my fears, step by step, toward healing. Much of my personal recovery came through healing exercises I did, the same ones I’m now sharing with you in this companion workbook. The work you will do here is a reflection of God’s relentless help in healing and encouraging me through these most vital exercises, creative assignments, journaling, reflection, and meditation on key scriptures. This workbook also contains bonus material not found in the original book, including extra journal entries, assignments, poetry, and helpful collections of Bible verses grouped by topics like peace, hope, God’s faithfulness, fear, and trust. Are you tired of fighting against your fears? Has panic interrupted your life? Has anxiety stopped you from going after your dreams? Start your soul-searching journey now so you, too, can venture toward peace. You can get copies of the Ebook or Paperbacks on Amazon. Special thanks to my husband for all of his hard work on this project. He designed the covers, designed the workbook, and took all of the beautiful, peaceful photography used in it. He wrote the original music for the book trailer, and edited it. (And yes, that’s his lovely singing voice at the end.) But more importantly, I’m so grateful for the role he played in helping me become Finally Fearless. It’s finally here: A book I have been working on since 2008. When Rene Gutteridge and I were working on the novelization of my script for Never the Bride, I felt compelled to write the non-fiction version of my life story as a single person who felt like she was waiting far too long to find love. This book is written in “real time” as I was going through it, not something I went back to write later. Consider it a companion book to Never the Bride. While that was the fictional version of my life, this is the raw honest non-fiction one. Why Would God Care About My Love Life? From the woman behind the screenplay and novel, Never the Bride, comes a roller coaster of a love story with God. Cheryl McKay pulls no punches about what it’s really like to be single, with your age creeping up, and no end in sight to the wait for love and marriage. It seems that many years ago, God asked Cheryl to surrender the pen she was using to write her love story. All He wanted was carte blanche. No problem, right? 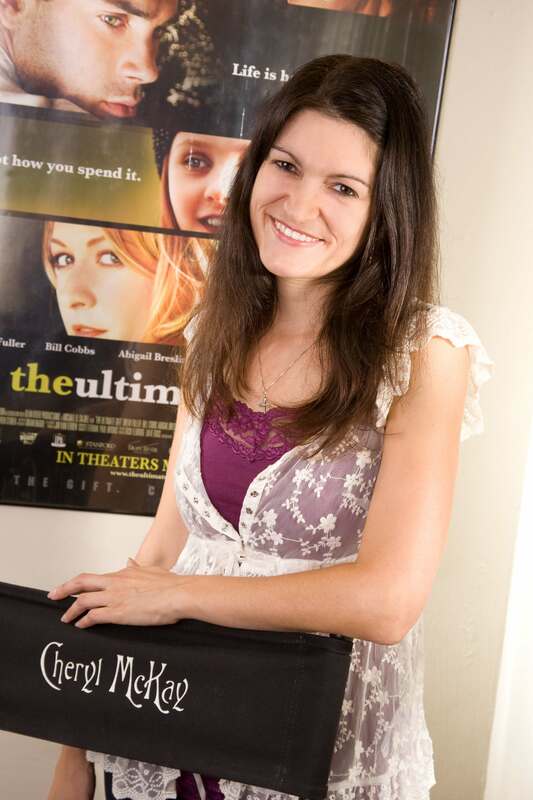 Cheryl tentatively conceded–that is, until it became apparent that the Almighty had no intention of conforming to her writing schedule, much less the tick of her biological clock. In fact, He blew every deadline she ever attempted to set. As romance seemed to pass Cheryl by, she couldn’t help but question: Could God really be trusted to bring her the love of her life? Written during a long wait, this book opens up Cheryl’s painfully honest, personal journals. She explores what it’s like to enlist in God’s Marriage Boot Camp, and how to survive singlehood year after solitary year. She wrestles with her Creator over multiple best friends that never see her “that way.” Then there are those lists of what she wanted–you know, the ones she revised a billion times then laminated for safekeeping. She watches, bewildered, as much younger women find love that seems to elude her. Through it all, she falls head over heels for a God who proves Himself to be as resistant to her controls as He is faithful beyond her wildest dreams. Are you still waiting? Have you lost hope? Venture to victory with a woman who knows just how hard it is to wait for the day when you are Finally the Bride. This book includes a collection of real-life God-written love stories by such authors as SQuire Rushnell & Louise DuArt (God Winks Series, Couples Who Pray), and Victorya Michaels Rogers (Finding a Man Worth Keeping). Finally the Bride is available on Amazon.